Our Vertical Wedge is sure to attract attention when displayed in your recipient's workspace or display cabinet. 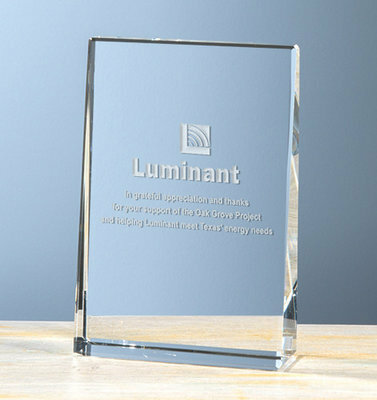 Made of thick optical crystal, this award features a classic wedge shape and impressively weighty feel. It comes in three sizes and is packaged in an attractive presentation box. Copyright (c) 2017 Sterling Cut Glass Co.